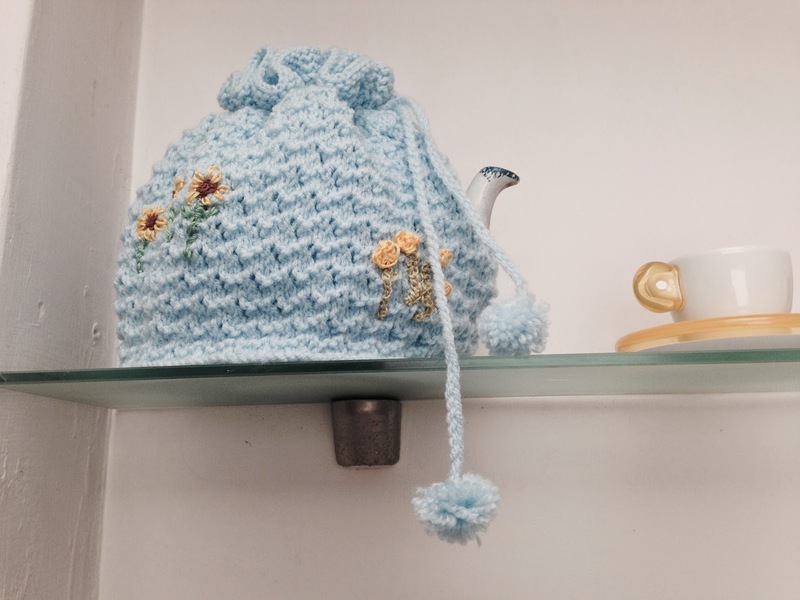 It must be summer – look here’s my summer tea cosy! I knew it was summertime when I returned from my holidays in Venice. It was Midsummer’s day and therefore time to unveil my new seasonal tea cosy – the four times a year work of my mother who is now in her 100th year. 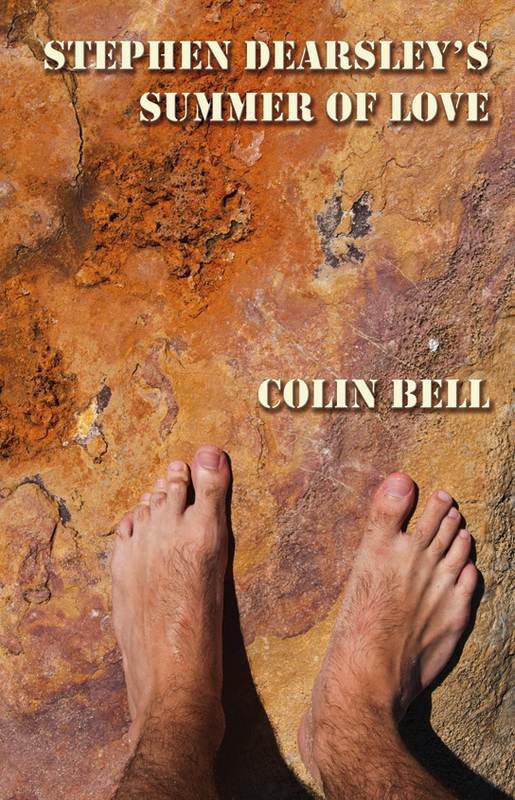 She’s now at work on the Autumn cosy – no previews or peeping, you will have to wait until the 21st September. 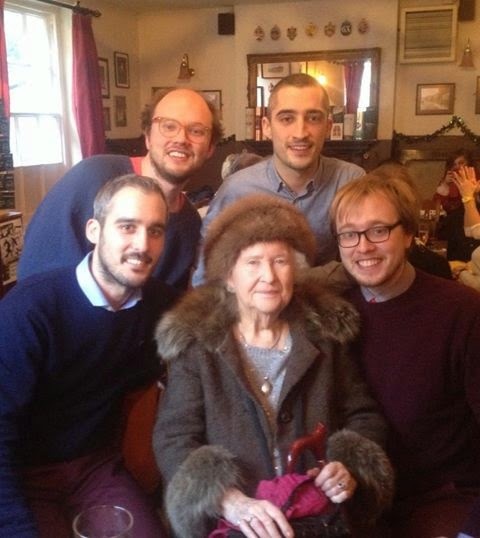 Here’s my mother with four of her five grandsons – a photograph taken last Christmas. I’m not sure that I showed you her Christmas tea cosy. Maybe I should photograph them all some time. She is still a knitting genius. Breaking News: My mother’s latest tea cosy design unveiled at last. The Easter Weekend In An English Garden – hot, sunny and full of flowers, wine, hot cross buns and fun.